Five excited teams entered a very sweaty Hyndburn Sports Centre on Sunday 22nd April as the Edmundson family prepared to do battle. The John Culshaw Tournament is an annual Blackburn & District tournament for 4 players, 2 ladies and 2 men, playing one level doubles and two games of mixed. Although the entry for this year’s tournament was small, the matches were many, resulting in a lot of red cheeks by the end of an exhausting afternoon play. It was lovely to see families unite in their teams with Jenny Woods bringing her whole family together on court; it was also entertaining to see families ‘get in to each other’s heads’ as they faced each other on either side of the net! 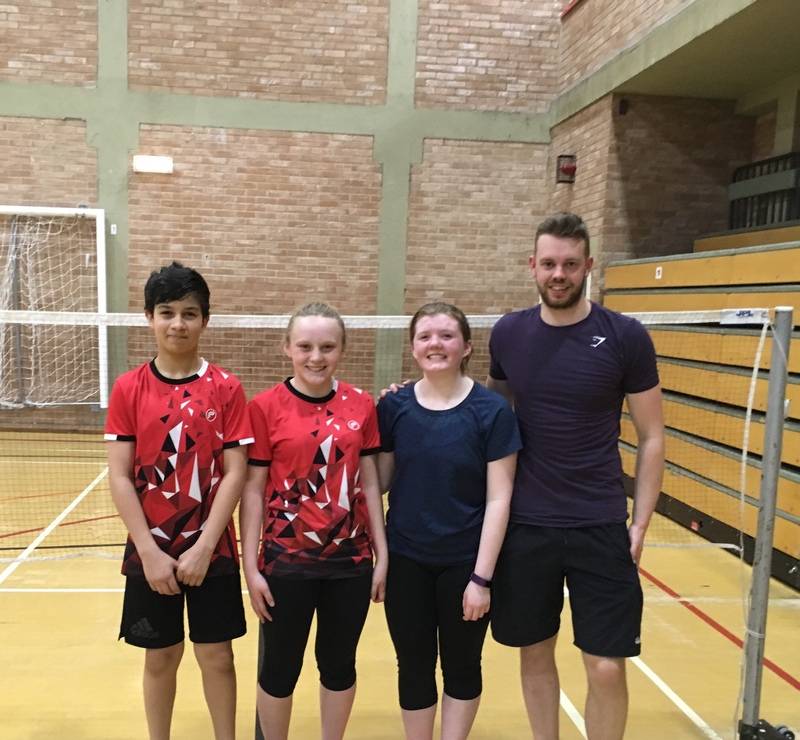 The promising young team of: Lily and Honey Edmundson, and Connor Bell and Adam Ashraf came out as worthy winners on the day. Well done to all those who participated this year and many thanks to Claire Edmundson for all of her hard work both on and off court, organising the tournament.